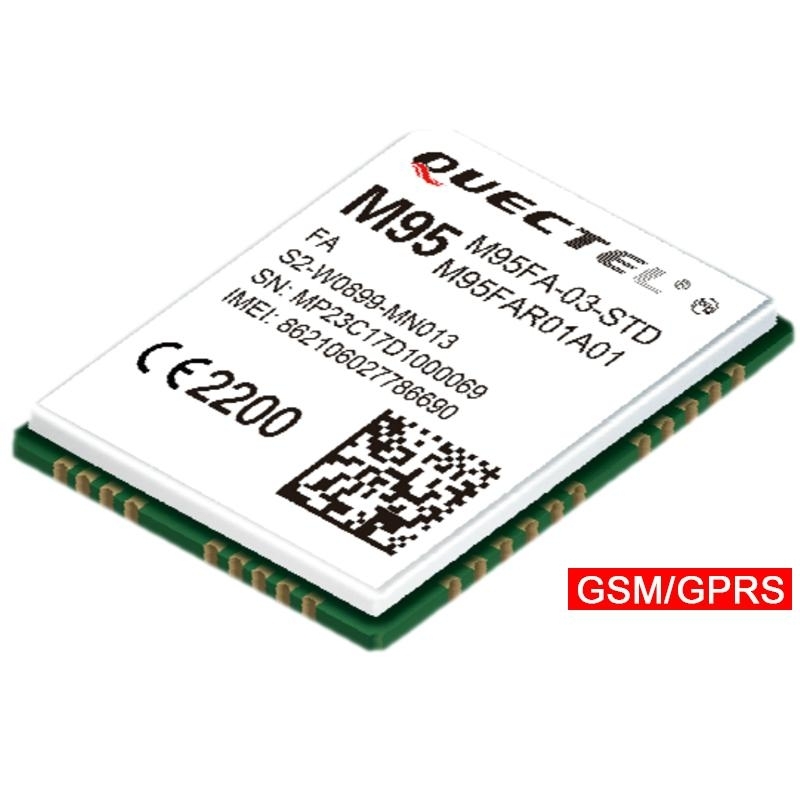 M95 is one of the smallest Quad-band GSM/GPRS modules in LCC castellation packaging with the compact size of 19.9 × 23.6 × 2.65mm, ultra low power consumption and extended temperature range. 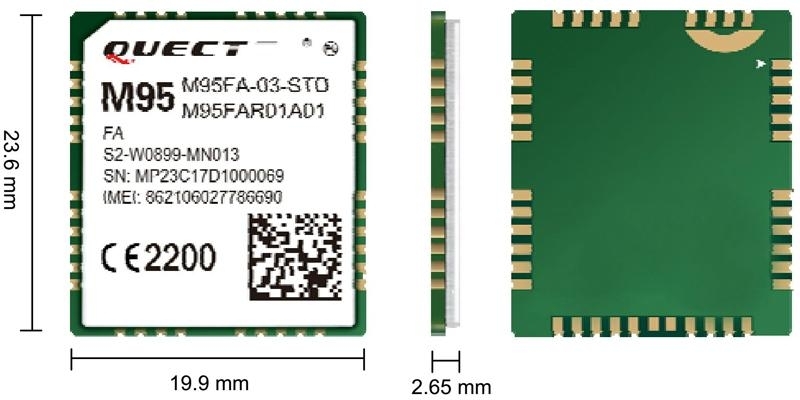 With surface mounted technology, the low profile and small size of LCC package makes M95 easily embedded into the low-volume applications and ensures the reliable connectivity with the applications. This kind of package is ideally suited for large-scale manufacturing which has the strict requirements for cost and efficiency. Built-in unique QuecFOTATM technology allows M95 to update the firmware remotely. 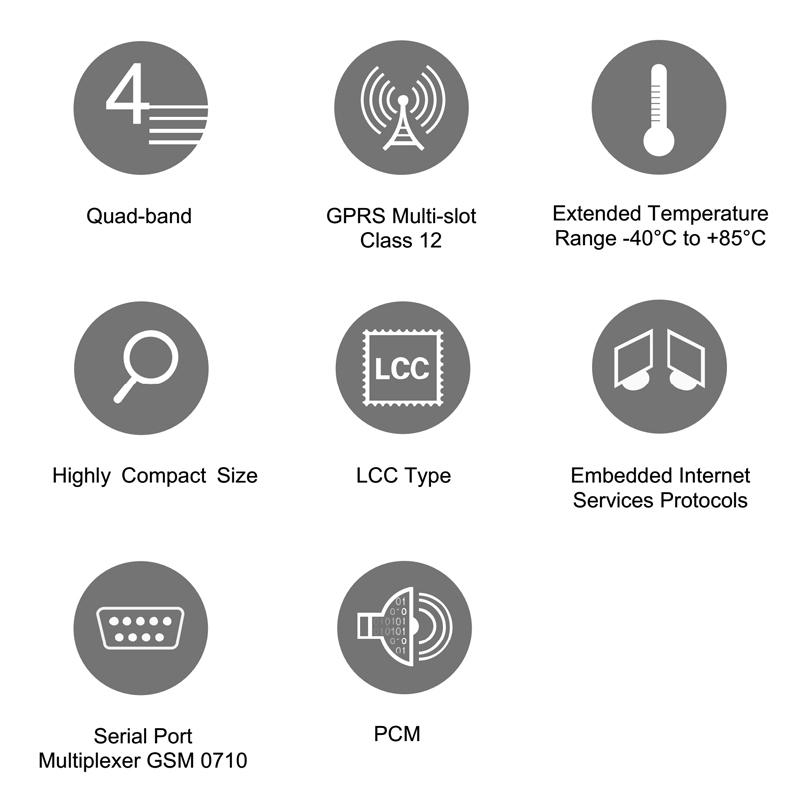 Additional features such as integrated TCP/IP protocol stack, serial multiplexer and enhanced AT commands guarantee fast and reliable transmission of data, voice, SMS via GSM/GPRS network and extend the functionality of the application without adding cost.